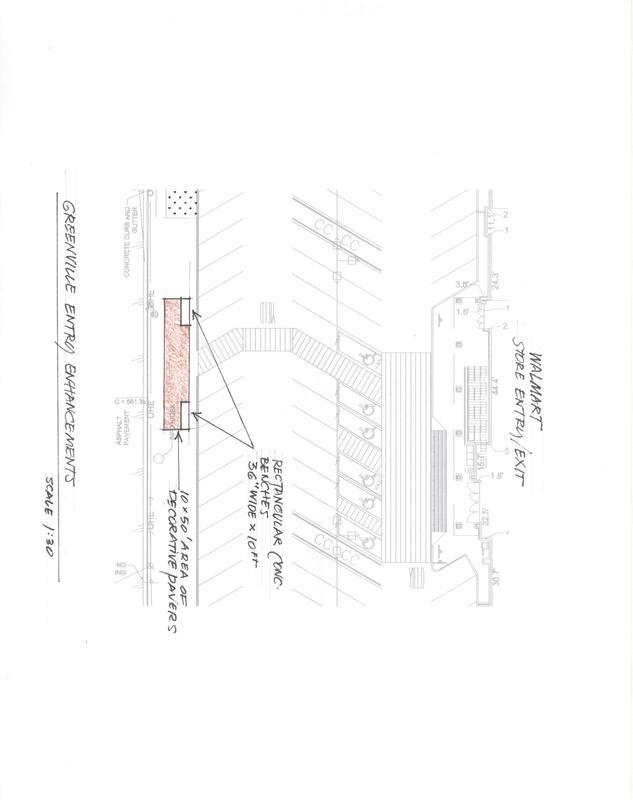 I am writing to update you on the status of the neighborhood’s discussions with Wal-Mart regarding its Lower Greenville Ave. store, which is scheduled to open in October. The store will be a “neighborhood market” concept like the one at Hall and Hwy 75. Representatives of all 5 neighborhood associations in the area, including Belmont Neighborhood Association, Lower Greenville Neighborhood Association, Lower Greenville West Neighborhood Association, Greenland Hills Neighborhood Association and Vickery Place Neighborhood Association, have been working together to negotiate with Wal-Mart and its development team since March regarding the construction at the vacant Whole Foods/Blockbuster site. We have also been working with Councilmembers Angela Hunt and Pauline Medrano. Wal-Mart also intends to make donations to local charities. Copies of some of the landscaping and streetscaping improvements are below. 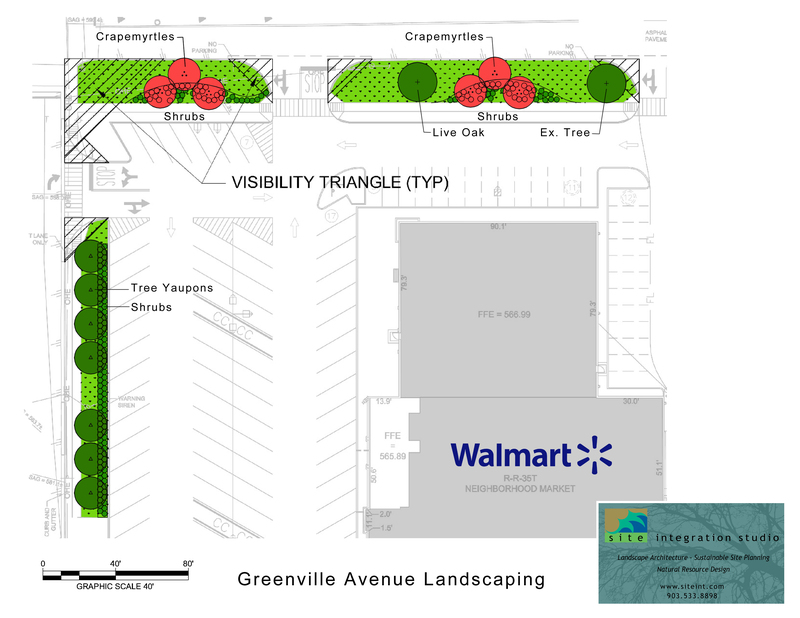 Through the collective efforts of the neighborhood associations along Greenville Avenue, we have gained several concessions from Wal-Mart that we believe will be a better fit with our community than originally planned and that address a number of concerns raised by area residents.